In Tchadoua, a community in grassy flatlands in the southeastern part of Niger, the store houses are full of old millet stalks, a sign that the harvest has not met expectations this year. In this area, people live off agriculture – farming, herding and trading at a small scale. This lifestyle is often difficult as unpredictable weather patterns like drought, floods, or even locust attacks, cause unexpected challenges and hinder successful harvests. As a result, children are often involved in ensuring the family’s survival, expected to assist in bringing in an income rather than attending school. Today it is sunny and windy, although it’s difficult to see with all the dust blowing in the air from the sandy ground in this area. The school in Tchadoua is comprised of 5 small classrooms, among which one is made of concrete, two made of clay and the other two are simple sheds made of millet stalks and straw. The walls are bare and there are very few, if any, teaching materials to be seen. Teachers here are very kind, they welcome us with cheers and friendly smiles. They are all very young, and most of them have not received any training on how to teach. 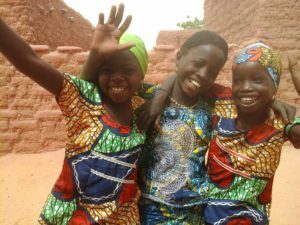 Education in Niger is jeopardized by this, leading to a poor quality of education in schools and a very low level of pupils, as students have trouble staying engaged in lessons. One student out of ten in grade 4 can read the alphabet here. Nana Rouwaida and friends Aicha and Fatchima after playing a round of chalele, a game involving dancing, clapping and signing. Such is the setting where Save the Children now implements its sponsorship program. Among the children struggling to learn in Tchadoua is 11-year-old Nana Rouwaida, twelfth child born of a family of thirteen. She is always joyful and smiling. 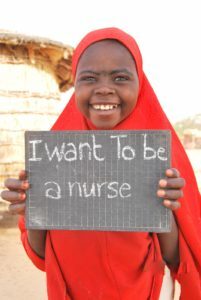 Neither her struggles in school or the difficulties of her family’s farming lifestyle prevented her from developing the dream to become a nurse one day. This dream become even stronger when she was sponsored by Helen, her new friend in the United States, who helps support sponsorship programs in her community and also supports Nana Rouwaida through their letter writing, always encouraging her to work hard in school. 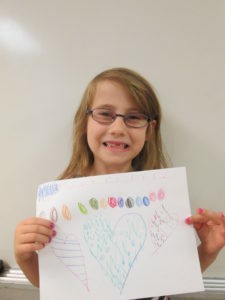 Through sponsorship programs, she also enjoys going to Reading Camp, where students come together for group lessons with a teacher from the community outside of their regular classes at school. Through sponsorship, teachers receive books to support storytelling and literacy building skills with their students in the Reading Camp, as well as are trained by sponsorship experts on how to use child-centered and child-friendly interactive teaching styles that keep children engaged and excited to learn. In her free time, Nana Rouwaida also likes helping her mother around the house, for example grinding millet for their meals, sweeping or making the fire for cooking. With her friends she enjoys playing their favorite game, called chalele, involving dancing, clapping and singing traditional songs, generally played by girls. 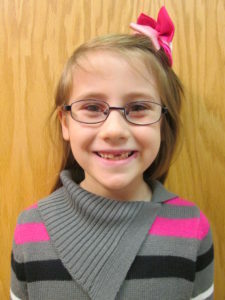 She is also very fond of goats and takes care of them to help her father. She says what she cherishes most is the time spent on Wednesday afternoons and Saturdays, when she goes to the fields to collect grass for the goats. “I like goats because they are easy to breed,” she shares with pride. Nana Rouwaida shares her dream for the future. For the children in Tchadoua, there is a long way to go. However, things are already beginning to change, and Nana Rouwaida knows that with her sponsor Helen by her side, nothing can stop her. Children in Bolivia discover leadership in many ways. Some children may recognize their leadership skills during a school presentation, others may realize this on the playground or practicing sports. Unfortunately, for many children in Cochabamba, where sponsorship works, there aren’t many spaces dedicated to strengthen and nurture these skills amongst children. This was Lucas’s case – a lively and bright 10-year-old boy whose leadership talents probably would not have been encouraged and developed if it were not for sponsorship support in his community. Fortunately Lucas now is part of Save the Children’s Advisory Council. 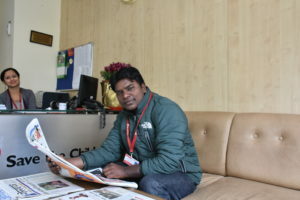 “Being able to work with Save the Children is something extraordinary,” says Lucas. 10-year-old Lucas, Advisory Council member and student leader. The Advisory Council is a group composed of children and adolescents that represent the nearly 50 schools sponsorship works with in Cochabamba, Bolivia. It has been set up to promote the participation of children in sponsorship programs so that they are not only beneficiaries, but also decision makers within and about the programs sponsorship helps to run in their schools and community. Their participation on the Advisory Council allows these children to have the opportunity to express their views and influence decision making. The council is an open and active participation space for children, where they are encouraged to share their opinions, reflect on different issues that affect children and most importantly, are listened to. 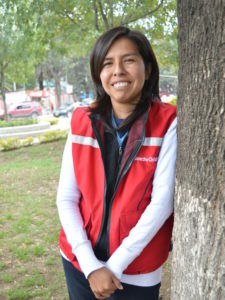 The members of this Advisory Council are also part of the Children and Adolescent Municipal Council of Cochabamba, a group affiliated with local government. This an important space that allows them to influence public policies. Lucas acknowledges that he used to be a restless boy, which he attributes to his energies not being channeled towards anything specific. Thanks to being part of the Advisory Council he began to see changes in his own life and in his self-esteem. Council members benefit not only in improving their communication skills at council meetings, but also can participate in workshops and conferences that strengthen their leadership and life skills. For example, the Advisory Council members organized and participated in the “For Our Rights” conference, held last year to celebrate the 27th anniversary of the United Nations Convention on the Rights of the Child – an international human rights treaty stating the rights of children. 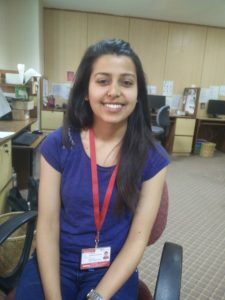 “Now I am more educated… in school there were many changes. My schoolmates used to bother me a lot, [but] now that I entered the Advisory Council, they come to ask me for help, they tell me: Lucas, I need this. Will you help me?” he shares proudly. 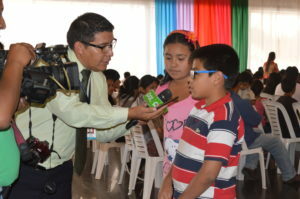 Lucas speaking to local media at the anniversary celebration for the Convention on the Rights of the Child. 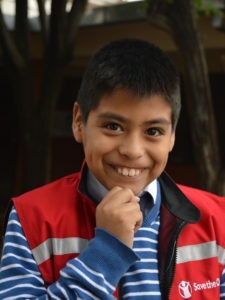 Both Lucas and his family are very grateful for the support provided to his school through Save the Children and the Advisory Council, which strengthened his leadership skills and his ambition to achieve his future life goals. All the way from Cochabamba – thank you, dear sponsors! Oumar is an 11-year-old boy and the oldest child of his parents. He is attending the 6th grade and was enrolled in sponsorship programs in 2011, as soon as he was old enough to attend school, although Oumar’s village of Sanasso has been receiving sponsorship support for nearly a decade. Because of the closely spaced pregnancies of his siblings, Oumar’s mother was struggling to care for her growing family. To help support his parents and sisters, Oumar moved in with his grandparents. His elderly grandparents didn’t have sufficient resources to pay for the monthly school fees needed to send Oumar to school. Without paying, he was expelled. He was not the only child in his village who faced this issue, as the community lacked a good support system to help those in similar situations. 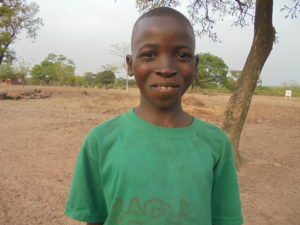 Thanks to sponsorship, today 11-year-old Oumar is back at school. To help bring more children back into school, sponsorship started livelihood programs in Oumar’s village. Activities that generate income for family members were promptly started in the community. The program aims to support households in obtaining resources which can improve their living conditions. 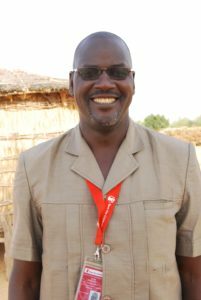 For Oumar’s village, a cereal bank and a sheep breeding program were set-up. The cereal bank benefits the community members by helping them purchase and stock grains during times of the year when prices are low, so that they can resell them when prices go back up. The cattle breeding program, on the other hand, provides school management committees and select families rams and sheep to breed, the offspring from which can then be sold to help pay for school expenses. Community members not only benefit from the profit, but from the skills learned in both these trades. With the profits from these programs, more parents, including Oumar’s who participated in both, are able to send their children to school. The community has been so successful in these ventures that they’ve even been able to pay teachers more, who before were making very little pay. Oumar playing with his friends in the school yard, happy to be attending classes again. These activities have successfully reduced the drop-out rates in this part of Mali, thanks to the support of sponsors. 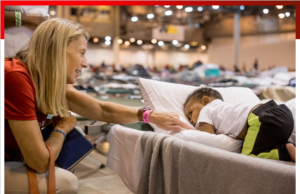 So far, no children have had to drop out this year – this would not have been possible without the kind and open hearts of our donors. On her way to her first day of facilitators’ training, 16-year-old Aida smiled as she passed by the Arab Al-Qadadeh youth center, remembering how before she was not allowed to enter this place to play or even to attend any kinds of activities. In rural areas especially in Upper Egypt, where Aida is from, people are conservative and trust in old traditions that restrict the movement of girls, frowning on their involvement in outdoor activities or other events that would have them move around or play in front of boys or in the public’s eye. Instead, they are expected to spend all their time doing work around their homes or finding other ways to serve family members, for example by doing farm work to help with income. Aida, youth leader and champion of girls’ rights. 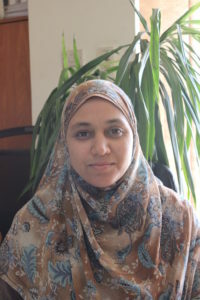 Aida joined Tomohaty in 2015. Tomohaty, meaning “Ambitions” in English, is a holistic program that covers topics that are related to the wellbeing of adolescents, such as life skills, responsible citizenship, reproductive health, livelihoods and career guidance. This curriculum is provided through coordination between Save the Children sponsorship staff and the local Ministry of Youth, and supported thanks to donations from our sponsors. It focuses on empowering out-of-school girls through sessions that build their self-confidence and teach them how to express their opinions, adopt positive behaviors and attitudes, and make decisions. In addition to learning new skills, the Tomohaty program also sets up time for girls-only sports activities inside the local youth center. This is so important to combat the culture that keeps girls inside their homes, both by helping girls to feel free and also by calming parents’ fears as they know the girls are playing somewhere safe. 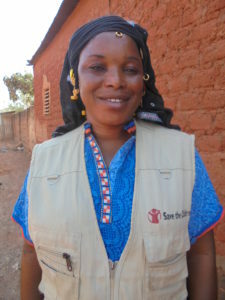 Previously, Aida used to spend her time doing the housework or working in the fields to earn money. She would hand the money to her father to help provide for the family, so that he would not have to carry this burden all by himself. She was deprived from her right to learn and not allowed to go to school. Instead she was exposed to the very strenuous and high pressure responsibility of supporting the family, which deeply affected her hopes for the future. By joining Tomohaty, Aida started to attend sessions with girls her age and practice sports at the youth center, exploring her self-awareness as she had never done before. She discovered, for example, that she is very talented in volleyball. She also started to share what she learned in the adolescent sessions with her parents and siblings. She began to shift her role from solely attending the sessions to more of a leadership role, for example helping to keep the other students organized by assigning roles in activities and group projects, speaking out in front of the group, and taking the initiative to talk to the head of the youth center about the girls’ needs. Through these sessions, Tomohaty taught her how to express her fear and rejection of the traditions restrictive of her rights to her parents and help them understand the freedom and opportunities she felt she deserved. Despite their conservative traditions, her family began to support her, even when her network in the community became wider as she started to tell her neighbors about the importance of these sessions for their daughters. Although she is young, she was able to make a significant impact on her community, evidenced when 8 new girls from her neighborhood in Arab Al-Qadadeh joined Tomohaty classes, solely resulting from Aida’s conversations with them and their parents. Aida showing her classmates the right positions before their volleyball match. In addition to that, the Tomohaty program helped Aida to attend a training for social workers and facilitators on first aid, which she was able to use to help her father when he burned his hands while making tea at home. He was astonished with her knowledge but more so with her new found self-confidence. “Now I am proud of having a daughter supporting me like a boy, [even] more [than a boy],” said Aida’s father excitedly. He was even more proud when she practiced with him the lessons on first aid and ways to deal with emergencies which she would be demonstrating to new girls in the youth center. 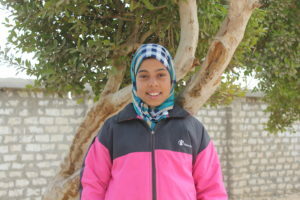 Aida was nominated to be a facilitator in 2017 after displaying her leadership skills and talent in communicating with girls. “Aida has transformed into a young lady in her attitudes and behaviors, she has formed effective relationships with girls in the youth center and she has turned into a leader,” explained her Tomohaty facilitator, Faiza, a sponsorship trained community member who helps oversee the group. Aida also attended a 7-day training with Save the Children to even further enhance her skills in facilitation and communication, and she is now preparing her first session as a Tomohaty facilitator in the Arab Al-Qadadeh youth center. “I want to add value for other girls in their lives. I want to be a female leader and make my parents proud of me even more,” recounted Aida with confidence. 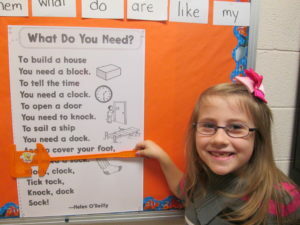 Clearly, Aida is already achieving these dreams and helping many people. Our deepest thanks to our sponsors of the children and programs in Egypt for making these achievements possible.